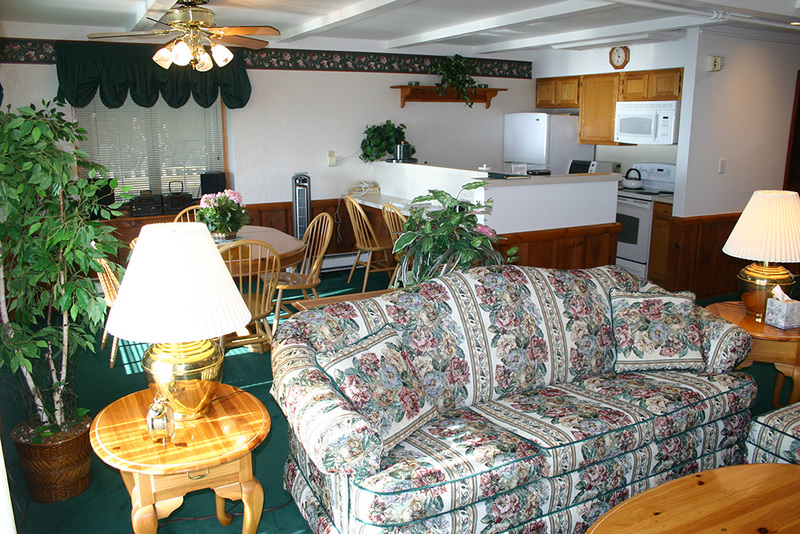 A One Bedroom Suite that sleeps up to four people (2 adults / 2 children). 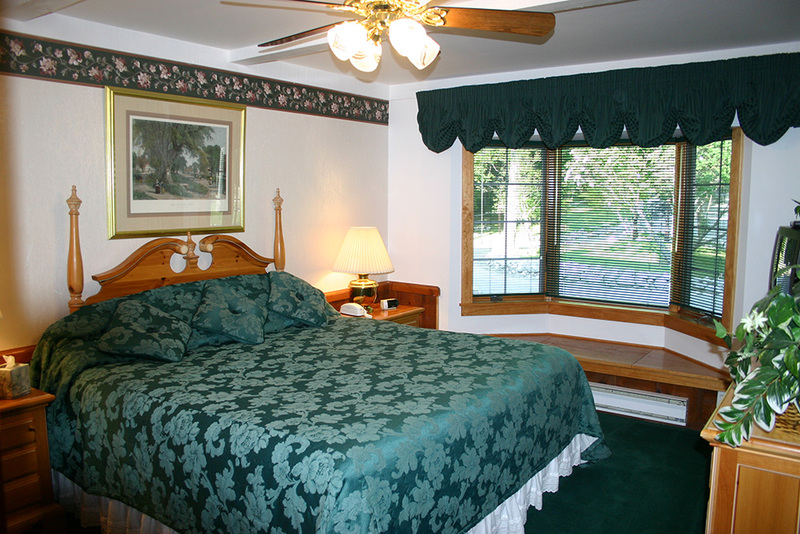 Features a private Master bedroom with a king size bed and a flat screen TV in the bedroom. A sleeper sofa (for 2 smaller children under 10 no charge, 10 - 15 $25 per child, over 15 yrs $50 per child. )is in the living room. This Suite has a refrigerator, microwave, coffee maker, and toaster oven with a bay window in the dining area with spectacular views of the strait. 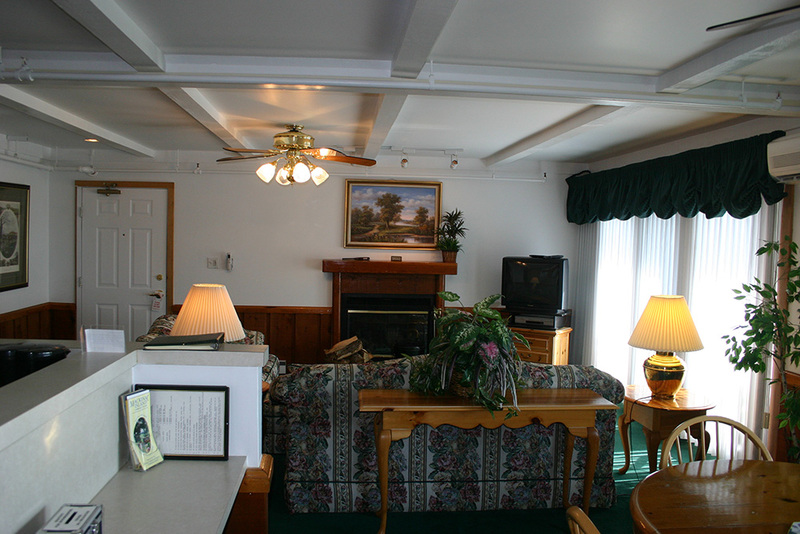 The living room has a flat screen TV, DVD player,VCR's and free wireless service. There is a sleeper sofa that can sleep two smaller children nestled in front of a fireplace. 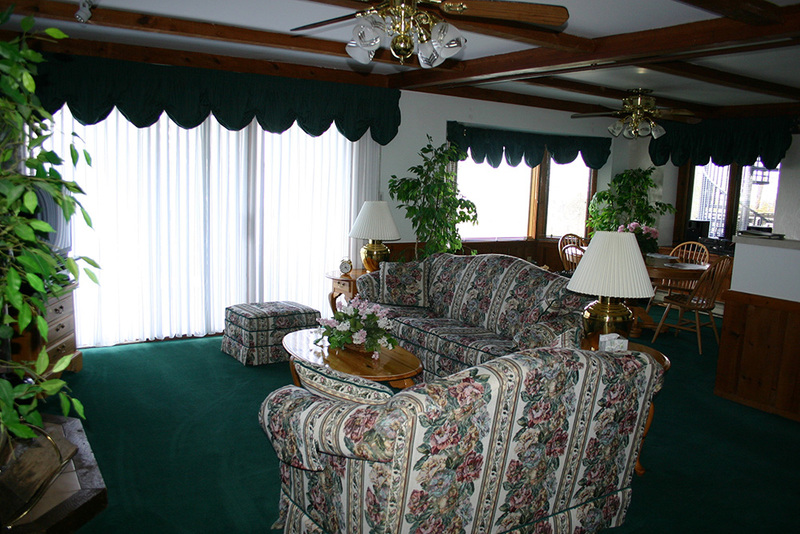 Sliding glass doors off the living room will step you on to a balcony for a panoramic view of the Straits of Mackinac and Mackinac Bridge with awesome sunsets. 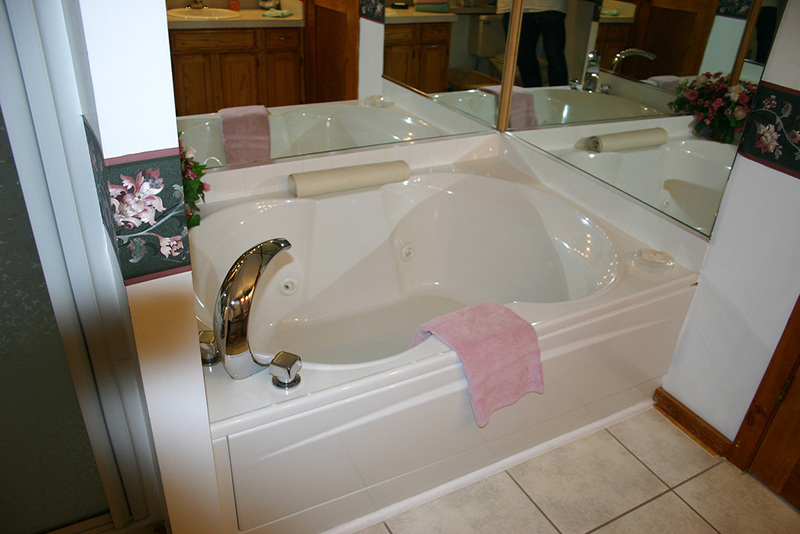 This Suite has a spacious bathroom with an oversized whirlpool rub and a separate shower.